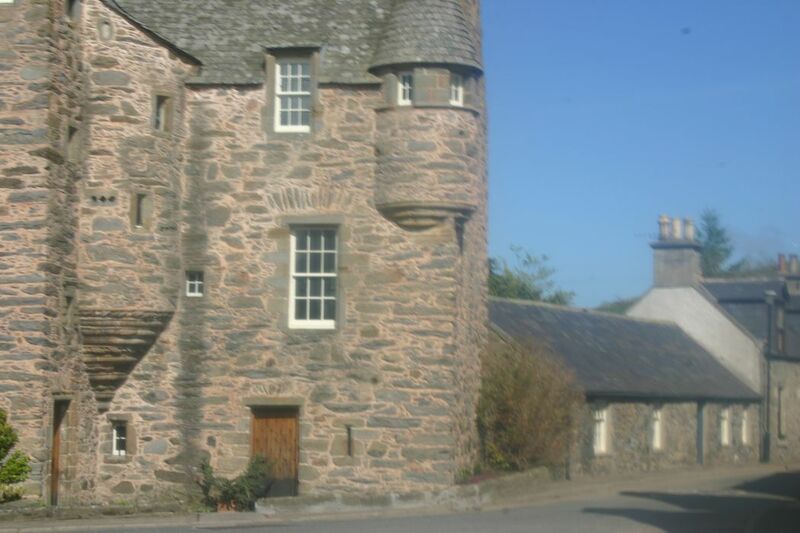 Thomas Cottage by Fordyce Castle - Book your Accomodation today. Thomas of Durn Cottage is a pretty holiday cottage on two floors. Our self catering accommodation can sleep 4 to 6 people in 2 well appointed bedrooms sleeping 4 and an additional double sofa bed in the lounge. 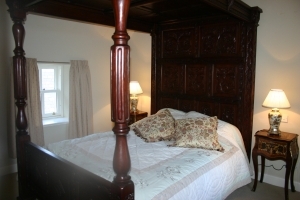 The master bedroom boasts a four poster bed and the second bedroom has antique twin beds. Both bedrooms are upstairs. On the ground floor there is a lounge, a separate dining room, a kitchen and shower room. 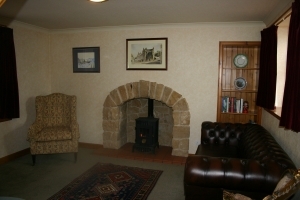 The cottage has central heating as well as a feature real flame gas fire in the lounge. All heating and electricity costs, bed linen, towels and tea towels are included in the price. There is also free complimentary Wifi. 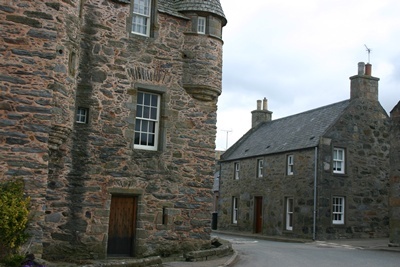 Thomas of Durn Cottage is just across the road opposite to Fordyce Castle. Almost every room overlooks the Castle. Thomas of Durn Cottage is a holiday cottage offering a high standard of self catering accommodation in Banffshire. 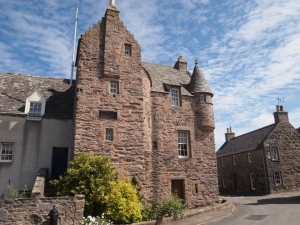 Thomas of Durn Cottage was built in the 19th century and The holiday cottage is named after Thomas Menzies of Durn Ogilvie of Durn for whom Fordyce Castle was built in 1592. The entrance door leads into a lobby. To the right is the kitchen. This room is light and bright with windows to the front and back. The kitchen is fully equipped dining-kitchen has an electric 'range cooker', fridge, freezer, microwave and a washing machine. There are views of Fordyce Castle. The lounge is furnished with a leather Chesterfield sofa which can convert into a double sofa bed sleeping an additional 2 people. There are a mixture of period and modern arm chairs. There is a large television and DVD. There is a fireplace with a real flame gas fire. The dining room overlooks the private courtyard at the back of the house. The room is furnished with a period oak barley twist fold out table. There are matching barley twist oak chairs. The table can comfortably seat 6 people. The Shower Room has a large double power shower fed from the hot water tank, a toilet and wash hand basin. The master bedroom has a large 'four poster' bed which is a reproduction of a tudor four poster bed although of modern king size to the relief of our normal height or taller guests! The bed has pretty walnut bedside tables and a large walk in closet. There are windows to the front and back. The front windows have lovely views of Fordyce Castle. The twin bedroom has matching walnut antique beds. Again there is plentiful storage space in the double built in wardrobes. There are windows to the front, back and side. The front windows have lovely views of Fordyce Castle. There is a walled private courtyard with a pretty bistro table and 2 chairs or you you want to relax you will find 2 "deck chairs" in the little shed.